Ladies and Gentlemen, signore e signori, mesdames et messieurs, the time has almost come. 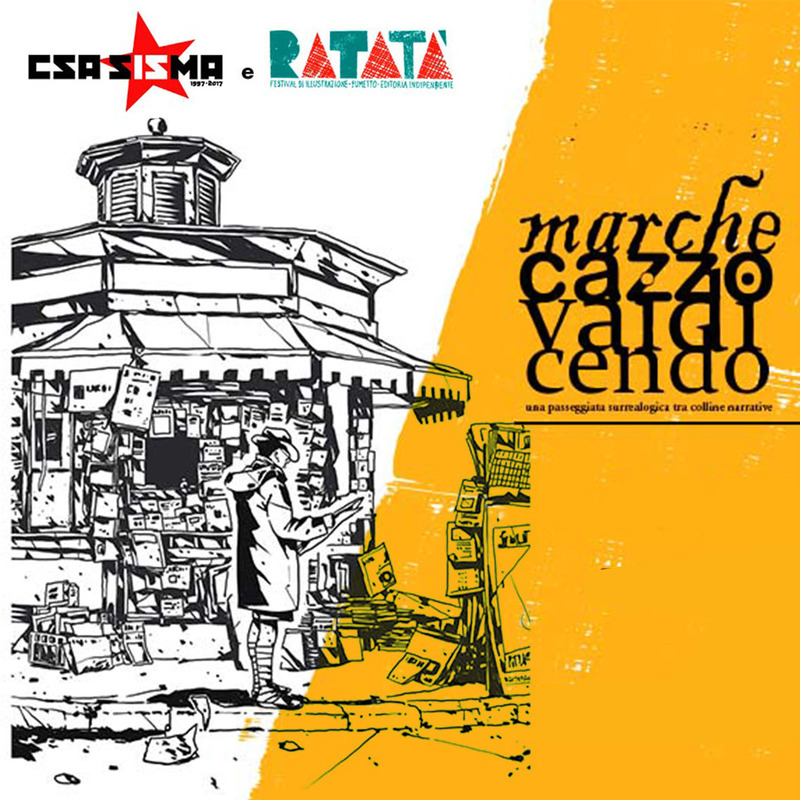 Take your calendar and mark “30th March, Macerata, 6.30 pm”. There are seven days left but don’t worry, you won’t change your mind. You will be seduced by curiosity, mesmerised during your wait and struck by surprise. We are finally ready to welcome you to our world and introduce you to our creature. “MarcheCazzoVaiDicendo”, a tricky tongue-twister, is the ultimate masterpiece, it’s the result of the efforts of 22 people, it’s the work of months and months, it’s a book with words and images and comics. If you are from the Marche region and you’re looking for the answers to every existential question that your homeland poses, you will find them there; if you’re not from the Marche region but, after reading those pages, you wish you were, you will be welcome and understood. The carousel starts with a nice “aperitivo” at 6.30, at csa Sisma in via Vittorio Alfieri, Macerata (see map). During the night you will be able to visit the exhibition of panels made by illustrators and cartoonists who have worked on this project. You will also be able to attend the book launch with the authors and we will end the night with the concert of “The Deux Camillo Perazzoli”. Finally, among pictures and cartoonists, by reading pages and singing notes, we will present you the outcome of our “Narration workshop”, organised by “MarcheCazzoVaiElaborando”. Get ready for three days of meetings and discussions, where a handful of artists, writers and other weirdos will give life to a hybrid work, that will be launched at the event. More info here.